by the Gambero Rosso tasting panels only after a series of completely blind tastings. 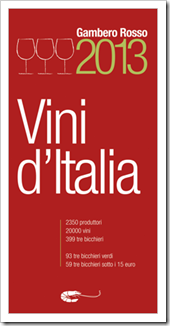 Enoteca Vino Nostro always carries Tre Bicchieri awarded wines and producers. Below is a handful of current and previous winning wines we currently have in stock. Check back frequently as our constant rotation of vintages and producers often carry new awards.